"This is a brand that has enormous goodwill all over the world, so expanding and extending the BAD MOMS franchise in an authentic and irreverent way has been a priority for our team. Jon and Scott have a truly hysterical story that was pure perfection. 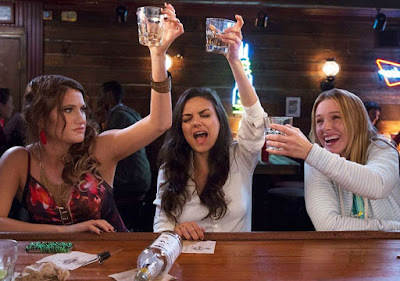 Mila, Kristen and Kathryn are excited to re-team, and we will move forward with A BAD MOMS CHRISTMAS on a similar time table and in much the same way in which we produced the original," said Adam Fogelson, Chairman of the STX Entertainment Motion Picture Group. STX Motion Pictures Group is a division of STX Entertainment, a global next-generation media company that specializes in the development, financing, production, marketing and distribution of a full range of both traditional and digital content including film, television, VR, digital video, music video and gaming projects. The company is led by accomplished businessman Robert Simonds and was co-founded by Bill McGlashan, managing partner of the leading global private investment firm TPG. Other investors include Hony Capital, a leading private equity firm in China; PCCW, Southeast Asia's largest Internet and cable services provider; Tencent Holdings, China's leading provider of online products and services; Dominic Ng, Chairman of East West Bank; DNS Capital (representing the business interests of Gigi Pritzker and her immediate family); and Beau Wrigley, former Chairman and CEO of the Wm. Wrigley Jr. Company, among others. With these strategic relationships, the company is uniquely positioned to maximize the impact of content worldwide, with direct passage into the China market.